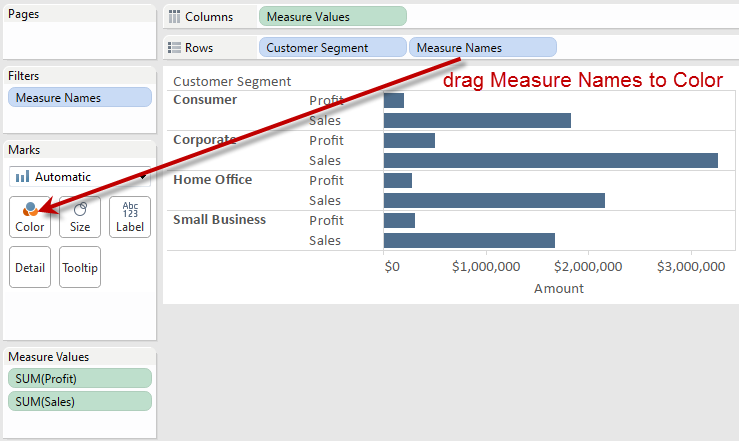 Do you know that changing a shared axis chart to a stacked bar chart in Tableau is as easy as one drag? This would be your typical design area. All you need to do is to drag your Measure Names to your Color Marks Card. Voila, stacked bar chart. Just fix up your color, and you’re set.